Let’s continue my story and bizarre day at Glenelg. Despite the fact that we had such bad food and services from the Dublin Hotel and Yum Sing Express, I did enjoy my old fav charcoal yiros. I discovered this place since they opened their doors many years ago. 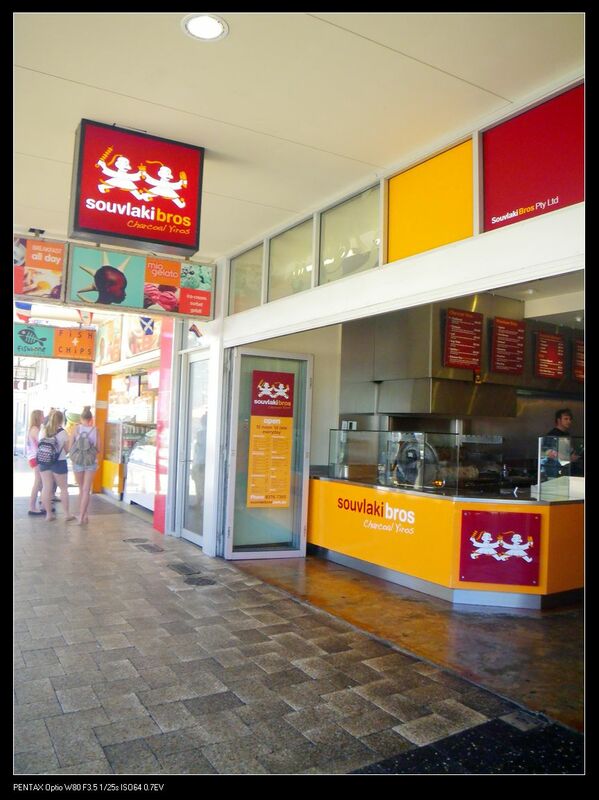 It has then become my quick lunch spot every time I go to Glenelg and it never failed my expectations. With modern design and decor, the restaurant is highly mediterranean influenced. Even the design of the yiros package is a bit funky which emphasised their logo well. The restaurant offers two types of chargrilled lamb and chicken. To satisfy our craving for yiros, we ordered both of them. Let me say this in advance. During previous visits, I’ve tasted all of their yiros varieties but I liked the Spitfire the most, but this time we just ordered the Traditional ones. Traditional Chicken Yiros, $12. The chicken yiros had almost the same characteristics as the lamb yiros. The meat was so juicy and tender. 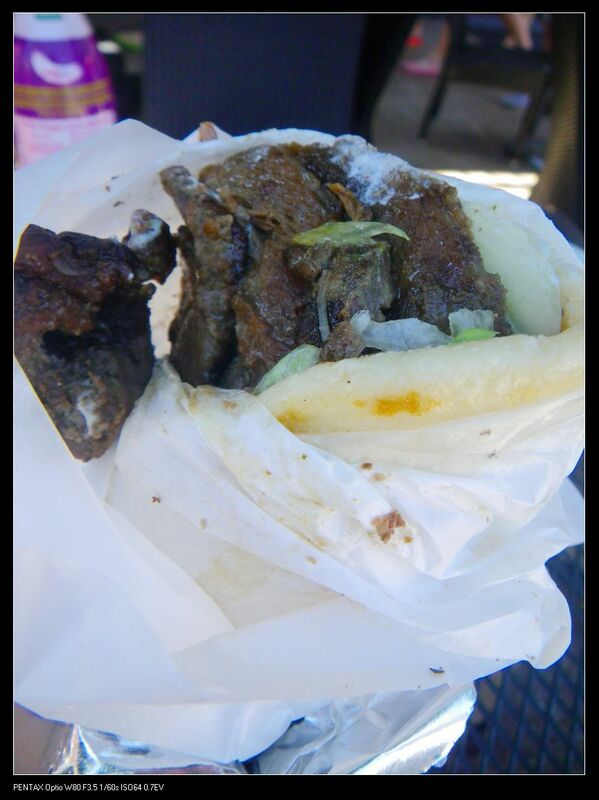 However, personally I prefer the lamb yiros – just because I love having lamb and its slight game taste! 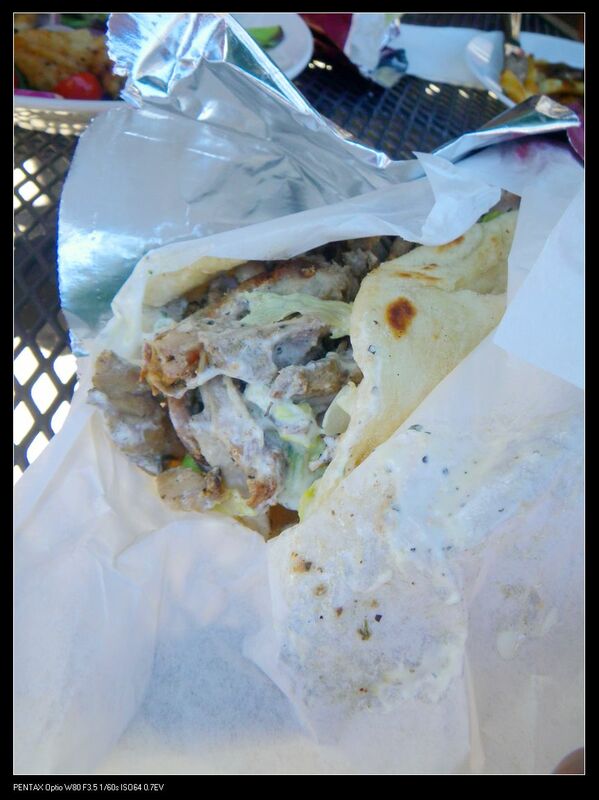 Souvlaki Bros never failed my expectations. Unlike other shops, this yiros eatery has maintained their quality since the first day and hence has gain numerous recommendations by other people in different online food platforms. 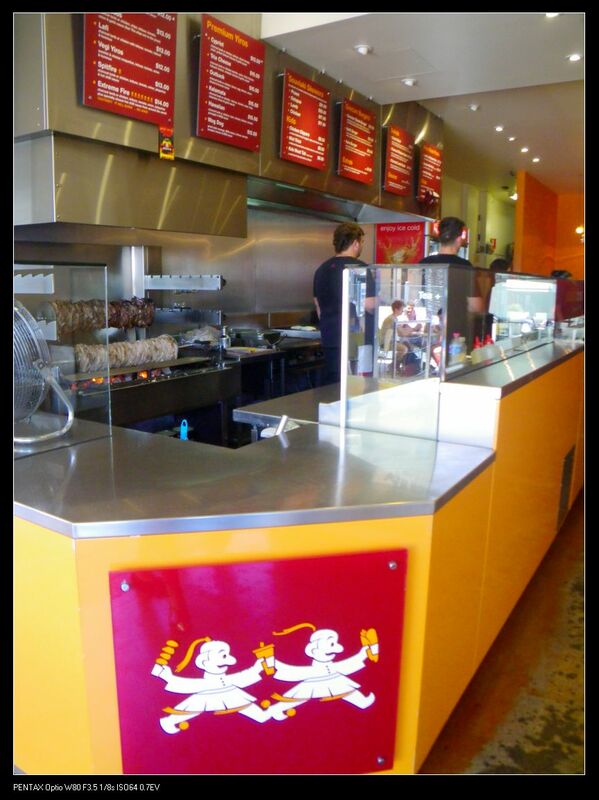 A highly recommended place for yiros in Adelaide! Next Post What do Aussies do on Australia Day? I love yiros but haven’t had one from here. I’ll have to go check it out – YUM! Yep. After my first try of this place many years ago, I just became a real fan of it. This may be cause by the fact that I like char grilled meat. I know there’s a charcoal yiros in the city too but have not got any chane to try. My husband is half Greek. We get best souvlaki / yiros (gyros) at Greek festival. This one looks VERY GOOD! 😀 Fae.